How Much Money Should You Get in a Settlement Agreement? One of the most frequent questions we are asked as employment lawyers is how much money you should be entitled to in a settlement agreement. Although a settlement agreement can include much more than a financial payment, this is bound to be an important question for almost anyone who is about to finish their employment. There are various categories of payment you can expect. I’ve set out below the most common types of payment you are likely to find in your settlement agreement. You should ensure that the settlement agreement makes clear that you will receive your normal salary and benefits up to the termination date. You are entitled to this even if you decide not to sign the settlement agreement. you may agree healthcare cover until a set date in the future. This is a benefit that is high value to you but probably doesn’t cost the employer very much. If you’re receiving a payment in lieu of notice, you may agree with your employer that you can continue to use the company car until the end of what would have been your notice period. If you do not take all your holiday before the end of your employment, you should receive a payment for any unused days. Holiday entitlement accrues on a month by month basis. For example, if you leave half way through the holiday year, you will have accrued only half your holiday. Deduct from that the amount of holiday you have taken and you’re left with the amount of days for which you should be paid when your employment ends. For details of how to calculate this, have a look at the government’s redundancy calculator. Some employers offer their staff enhanced redundancy payments. Check your employment contract and staff handbook to find out whether you’re entitled to this. If your employment is being terminated by way of a settlement agreement, you may not have to work your notice period. Instead, your employer may decide to make a payment representing the amount you would have earned during your notice period. This may also be referred to as a compensation payment or a termination payment. Whatever it’s called, it’s the payment your employer is paying you as an incentive for you to sign the settlement agreement. How much you should receive will depend on the circumstances and is often open to negotiation. For example, if your employment is ending in circumstances where you may have a strong claim for unfair dismissal, you may want to consider how much a tribunal would award you in compensation. This is usually calculated by reference to your lost earnings, so think about how long you’re likely to be out of work and what your net earnings would have been over that period. If you wouldn’t have a good case for unfair dismissal, there is less incentive for your employer to pay you a higher sum. Nevertheless, they may be willing to pay you more as a gesture of good will. An ex-gratia payment will be tax free up to a limit of £30,000. A retention bonus is a payment which is conditional upon the employee remaining employed until a certain date. This is useful for an employer who wants to ensure that there are sufficient staff available to complete a particular project, such as closing a depot or finishing a contract. Many employers will provide their staff with counselling and training to help them find alternative work. This is known as outplacement services. Often a settlement agreement will include the provision of outplacement services up to a certain value. The amount may be open to negotiation. The employer will usually contribute towards the employee’s costs of obtaining legal advice on the settlement agreement. This is because a settlement agreement is only legally binding if the employee has had legal advice on it. It’s in the employer’s interests to ensure that the employee receives that advice. Otherwise the settlement agreement will be of no effect. Often the contribution to legal costs will cover your solicitor’s fee in full, which means that there’s no charge to you. Employers will often make an additional payment in exchange for the employee agreeing to enter into covenants which restrict what they can do after they leave. The payment is usually a nominal payment, somewhere between £50 and £250. We don’t recommend negotiating on the amount of this payment because it is taxable. If you want to negotiate, you should do so in respect of the ex-gratia payment, which is tax free. The amount of tax payable on a settlement agreement depends on the type of payment. As a general rule, contractual payments such as salary and benefits are taxable. Non-contractual payments such as compensation payments are tax-free up to £30,000. For more information about the tax status of the various payments, have a look at this blog. Can you negotiate how much you get? 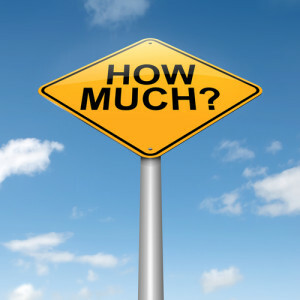 There is often scope for negotiating how much you will receive in a settlement agreement. This can be done on a legal basis or a goodwill basis. For example, by signing the agreement you’re waiving your right to bring any kind of claim against your employer. The amount you’re offered should reflect the value of that right. If you can argue that you would have a legal right to more money if you claimed unfair dismissal, this may be an incentive for your employer to pay you more. how difficult you’ll find it being out of work. These are factors a tribunal wouldn’t consider but may be relevant in helping to persuade an employer with a conscience! If you have received a settlement and you’d like to find out more about how much you should expect to receive, contact us for a free consultation. We advise clients throughout the UK. Call us now for a free consultation. Previous Entry: How Much Tax Will You Pay on Your Settlement Agreement?